Consistently increasing global population coupled with the demand for food influence the growth of crop yields. According to Foodaidfoundation, approximately 795 million people in the world are undernourished, which translates into about one in nine people on earth. This void strokes the need to increment yield from available arable land as well as protect the crops. Herbicides play a key role in weed control of food and feed crops such as corn, soybeans, and sorghum. Metolachlor is an odorless liquid herbicide of chloroacetanilide family and a derivative of aniline, which consists of four stereoisomers. It is a reliable way to deliver higher yields and maximize the quality of plants and seeds, reflecting IndustryARC report’s projections of a profitable progression in the metolachlor market during the forecast period of 2018-2023. The metolachlor market can be segmented based on formation and application. Based on the formation, the market can be segmented into concentrate emulsifiable formulation and granular formation. On the basis of application, the market can be bifurcated into herbicide, desiccant, defoliant, plant growth regulator, and others. Shandong Binnong Technology Ltd, Syngenta AG, Bayer CropScience, FMC Corporation, and Shanghai TenglongAgrochem Co. Ltd. Are some of the notable companies operating in this market. 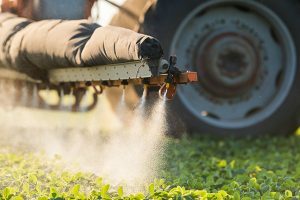 Among these companies, Syngenta AG is one of leading agriculture-focused company, offering S-Metolachlor, a leading herbicide in various brands such as ACURON, DUAL GOLD, and LUMAX. These herbicides are majorly used to control weeds in corn and soybean crops. Metolachlor is an herbicide, which acts as a pesticide for some crops. It is majorly applicable in the agricultural industry to produce higher yields with quality products. Rising demand for food is impacting the growth of metolachlor market. Previous article Which Zodiac Signs Love to Spend Quality Time?